There may be no solid plans at this time, but the upcoming open-world sequel, Saints Row IV, may still find a home on next-generation consoles. 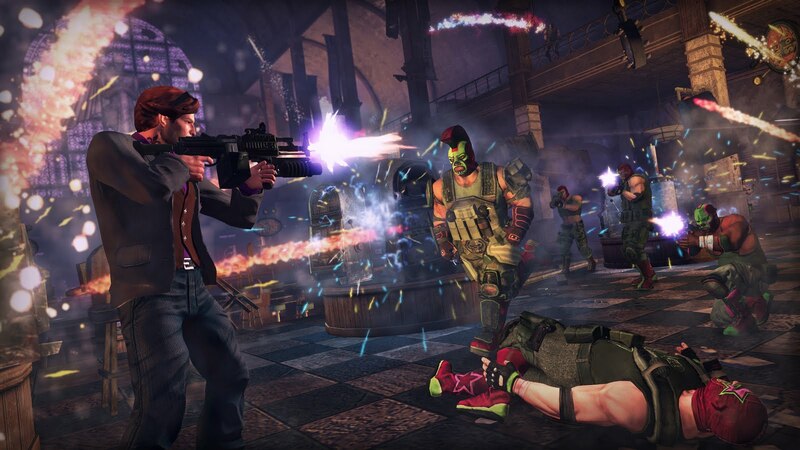 All the profanity and colorful weapons of Saints Row IV will be ready to experience this August on PlayStation 3, Xbox 360 and PC, but that doesn’t mean it’s stuck on the current generation of technology. At a recent press event, Design Director Scott Phillips told VG247 that his team didn’t get hardware from either Microsoft or Sony in time to plan a PlayStation 4 or Durango release. They were looking to launch the game in summer and couldn’t wait around for much longer. But don’t lose hope, loyal Saints. Other versions of the game on more sophisticated technology could still exist in the future. For now, get excited to do things only possible in Steelport this summer. We’re just damn excited to get our hands on it, no matter what console its running on. Are you going to buy the latest Saints Row game this August? Would you rather just wait for a possible next-gen release? Let us know what you think by leaving a comment below!